This series has been everything! Pam Godwin has blown me away with her story telling, with her characters, and with this tale over vengeance and love. If you haven’ started this series, DO IT NOW!!!! Could Kennedy Fox have created a more epic conclusion for the Bishop Brothers series? They have teased us with Jackson and Kiera since book one, and they held nothing back. The angst, the steam…just EPIC. My heart is a little lost with having to leave the Bishop clan, but this is a family I will absolutely be visiting time and time again. Keeping Him will only be available on these platforms Sept. 18th-20th. It’ll then be taken off and go exclusively into Amazon. Make sure to preorder so you don’t miss out! Wow, those are some hot covers! 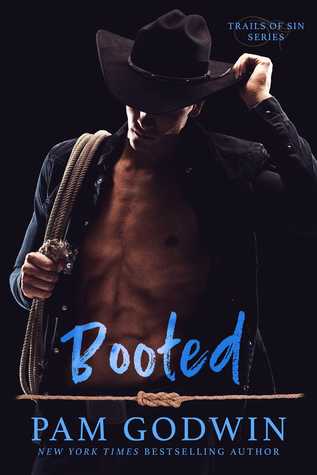 I’m really looking forward to Booted! A little sad but also excited to read the final Bishop Brothers book! I’m looking forward to reading your reviews!